This year's EFA 2017 Annual Meeting will be hosted by the University of Mannheim, Germany, from August 23-26, 2017. 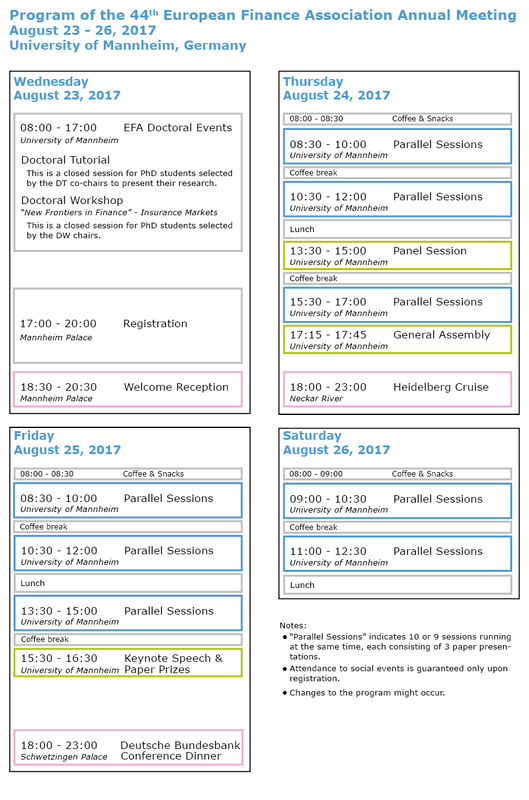 The EFA 2017 includes 75 sessions and 225 papers presented over two-and-a-half days. One of the conference highlights is the keynote speech by Prof. Campbell R. Harvey, Professor of Finance at the Fuqua School of Business, Duke University and a Research Associate of the National Bureau of Economic Research in Cambridge, Massachusetts.